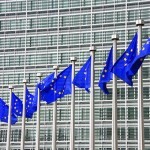 Last 23rd December 2016 the European Supervisory Authorities (ESAs) published their response to the European Commission (EC) on the amendments it proposed to the draft Regulatory Technical Standards (RTS) on the Key Information Documents (KIDs) for Package Retail and Insurance-based Investments Products (PRIIPs). Given the time constraints linked to the entry into application of the PRIIPs regulation (already deferred till 31 December 2017) the outcome is puzzling: the ESAs are not in a position to provide an agreed opinion on the amended draft RTS, but they all agree that the changes proposed by the EC on the performance scenarios may be misleading. Furthermore, the Commission claims that the description of the administrative costs related to the biometric components of the PRIIPs is not clear and has to be reviewed to allow the investor in identifying what is invested and what is related to the insurance cost. The ESAs have discussed the above-mentioned amendments and have presented an opinion to the three Boards of Supervisors. A qualified majority was reached in the EBA (European Banking Authority) and ESMA (European Securities and Markets Authority) Boards, but not in the EIOPA (European Insurance and Occupational Pensions Authority) one. All the three Authorities convey that replacing the historical mean with zero in the performance scenarios do not allow to reflect the performance of asset classes, costs and product features. They also say that, in case the EC still wishes to amend the RTS along the line proposed, it should consider at least the distribution of risk free returns, adjusted for dividend yields; this will anyway do not allow distinguishing between different asset classes. I do agree with the doubts raised by the ESA. Let us make a trivial example, supposing that an investor has to choose between two products A and B, where the volatility compensates the expected return: A has a lower expected return and a lower volatility, while B has a higher expected return and a higher volatility. If the performance scenarios were only based on the volatility with an expected return that equals 0 or risk free yield, B would be probably less preferable, while it may be more appropriate for a certain customer with a certain utility function.